The Independent National Electoral Commission, INEC, said it is making plans with the Nigeria Prisons Service to ensure prisoners can vote in the forthcoming 2019 general elections. 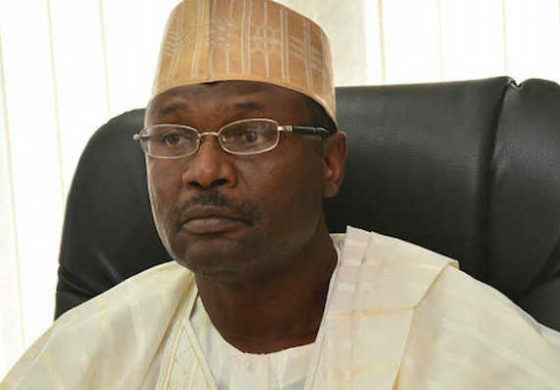 INEC Chairman, Mahmood Yakubu, said this on Tuesday in Abuja at a dialogue session tagged Nigeria Civil Society Situation Room Dialogue. The dialogue session involved over 70 civil society organisations in Nigeria. Mr. Yakubu said the commission was considering creating polling units in Nigerian prisons to give some categories of prisoners the opportunity to vote. He explained that only ”certain categories of prisoners” would be given such an opportunity depending on the nature of the crimes committed. “We are looking at the possibility of creating polling units in the prisons and to enable some categories of prisoners to vote. Speaking on the forthcoming Anambra governorship election, he also said the commission would do everything to ensure that the election is not inconclusive or rigged. Mr. Yakubu raised concerns on the wrong substitutions of names of governorship candidates by two political parties ahead of the governorship election but refused to disclose the names of these parties. He however warned that if the act was challenged in court, the whole election could be voided because of that and the country will be made to bear the financial load of conducting a new election. He said the high level of non-compliance to the Electoral Act by the political parties was threatening the electoral system. Clement Nwankwo, the Executive Director, Policy and Legal Advocacy Centre, and convener of Situation Room, said the event was organised to know the commission’s preparations for the forthcoming Anambra State governorship poll as well as other elections.